The crowded field of mass shootings has once again brought the issue of gun safety to national attention. Like most controversial issues, this debate lacks a measured response and remains laden with emotional rhetoric. I do not own a handgun, don’t belong to the NRA, not a member of a radical anti-government militia group and don’t subscribe to the doomsday prophecies. Intrestingly, when reviewing the facts of guns in America, they note the Swiss, Finns and New Zealanders all own guns at the same rate as Americans. However, the Swiss murder rate is 40% lower than Germany, which has stricter anti-gun ownership laws. Israel with a higher gun ownership rate than the U.S. has a murder rate lower than even Canada. In a country like Switzerland, with universal self-protection laws, criminal attacks are virtually non-existent. Conversely, Britain’s strict anti-gun control laws produce much lower rates of gun violence, however the number of home invasions remain alarmingly higher. 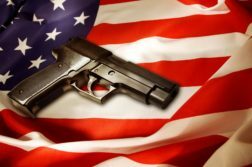 The rates of robbery and assaults in the U.S. remain consistent with those in other developed countries with lower levels of gun ownership. • There are currently 300 million guns in America. • Less than 2% of crimes are committed by a legal gun owner, in fact almost all of the crimes committed with a firearm in this country are done so by individuals who are already restricted from legal possession of a firearm due to age, criminal history or mental health. 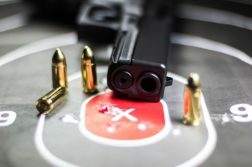 • Gun deaths average 32,000 annually, when extracting suicides and gang violence the number drops closer to 2,000 and when further extracting accidental and unjustified shootings that number is reduced to less than 1% of gun related deaths every year attributed to shootings involving self defense. 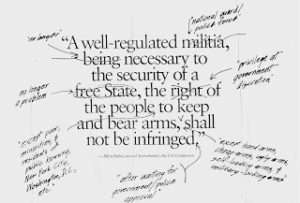 • Legal gun owners avert a crime 1.4 million times annually with legal gun use and 98% of the time without firing the weapon. • Less than one percent of crimes are committed with an assault weapon. 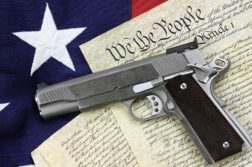 Just as legal gun owners are not victim creators, there are limitations to the First amendment and the same holds true regarding the Second amendment. The most obvious limitations involve closing the loopholes in trade shows and private gun sales by expanding background checks. Secondly, drum-style magazines which can hold up to a hundred rounds and have no reasonable civilian purpose can be restricted without infringing on second amendment rights. Another common sense approach is to enforce the twenty thousand gun laws already on the books. To further support these measures America needs to get serious about the culture of violence that permeates our society and finally, we must begin to address the limited and convoluted patchwork of mental health treatment. The NRA has a significant opportunity for leadership in shaping this debate; unfortunately they appear more interested in protecting the sales and profits of national gun retailers than providing common sense leadership and moderate gun control measures intended to protect their membership and the Second Amendment.